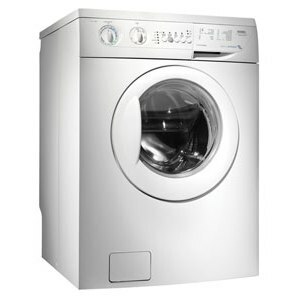 London, June 22 : Water conservation usually takes a backseat while doing laundry, but not anymore, for now a new environmentally friendly washing machine, which uses use only one cup of water and leaves clothes virtually dry, is all set to hit showrooms next year. Developed at the University of Leeds, the technologyaims save up to 90 per cent of water used by conventional machines, use 30 per cent less energy, and thus can have the environmental impact of taking two million cars off the road. The washing machine works by replacing most of the water with thousands of tiny, reusable nylon polymer beads, which attract and absorb dirt under humid conditions. Only a small amount of water and detergent is needed to dampen the clothes, loosen stains and create the water vapour that allows the beads to work. And after the cycle is finished, the beads fall through a mesh in the machine's drum, and can be re-used up to a hundred times. The company behind the technology, Xeros, is initially aiming at the commercial washing market, including hotels and dry cleaners. Bill Westwater, Xeros chief executive, said that growing pressure on companies and consumers to cut water usage and carbon emissions might boost demand for the system. "We've got an eye on the consumer but it will take time and we hope commercial success could act as a springboard to move into the consumer market," Times Online quoted Westwater as saying.